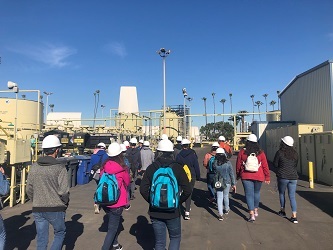 CRC recently partnered with Californians for Energy Independence (CEI) to host a tour of our THUMS Island operations in Long Beach for a group of high school students. Aimed at fostering the next generation of energy industry professionals, participating students represented local Channel Islands (CI) Upward Bound, CI Dream and Oxnard’s League of United Latin American Citizens (LULAC) youth programs – all of which provide assistance with college readiness and planning, as well as career exploration. 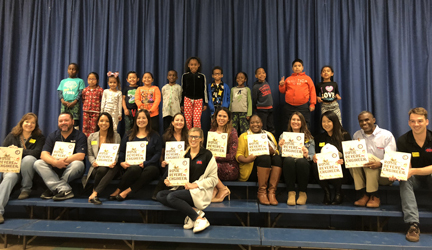 Esmeralda Macedo, CRC’s Staff Mechanical Integrity Engineer, shared her professional journey in the oil and gas industry with students to inspire their thinking about future career opportunities. She shared a broad range of information, covering the different types of careers that make the THUMS Islands a productive, world-class operation supported by critical support roles such as pipefitters, electricians, chemists, geologists, process specialists — and even boat captains – to name a few. 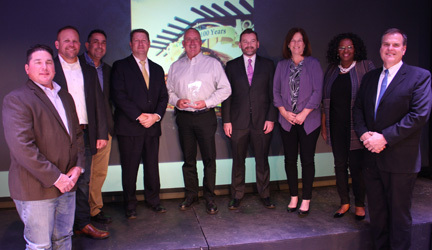 Esmeralda also highlighted the industry’s commitment to promoting diversity in its workforce. 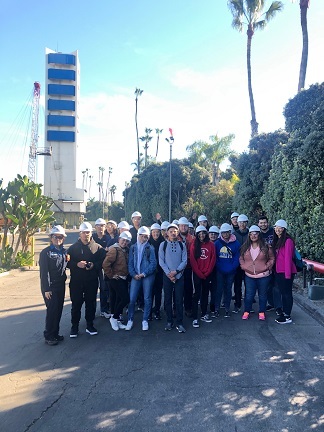 During the tour, students also learned how CRC plays a vital role in providing energy to California, safely and responsibly producing oil and gas in ways that ensure workers, the community and the environment are protected. Through interactive and education outreach and engagement like this event, CRC hopes to inspire a whole new generation of workers interested in being a valuable part of the energy solutions needed to drive California’s bright future!